At Shift Psychological, one of their main goals is to make a difference – especially in their communities. When they heard that YESS needed underwear, the team started brainstorming campaigns. It wasn’t hard to decide that they would team up with YESS for our Fall Charity Campaign this year! 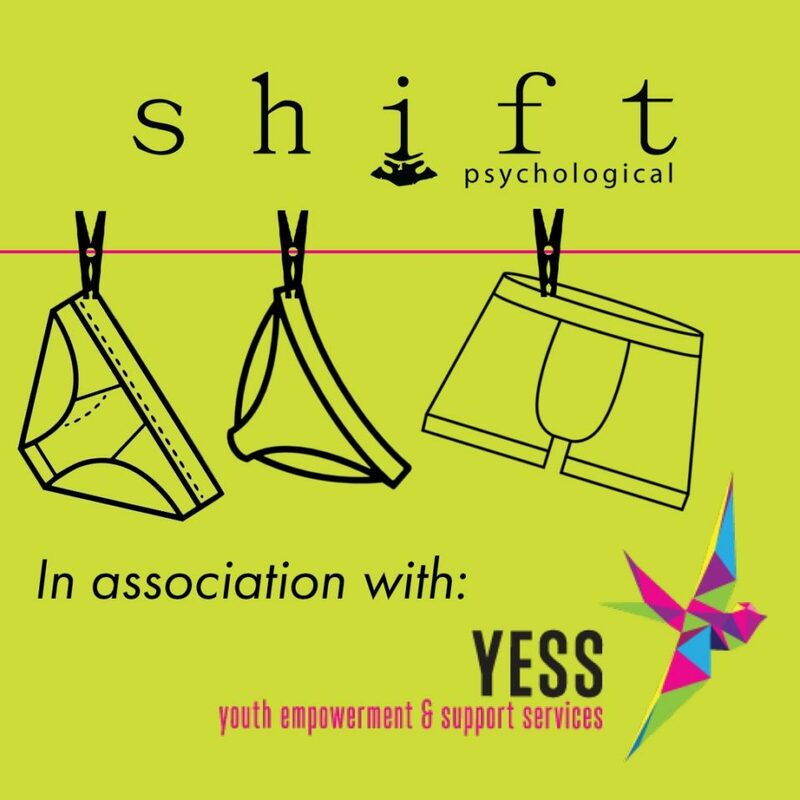 The team at Shift Psychological are committed to helping YESS with this by donating underwear in all sizes. For more information about Shift Psychological and their fall campaign for YESS visit shiftpsych.com.